7540 Placing Road Indianapolis IN 46226 is a 3-bedroom, 2-bath property located at 7540 Placing Road, Indianapolis, IN 46226, in Marion County. 7540 Placing Road Indianapolis IN 46226 was built in 1959 and offers 1216 square feet of total space. 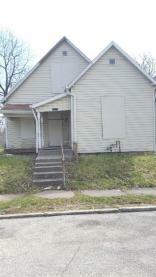 The current listing status of 7540 Placing Road Indianapolis IN 46226 is Off-Market. 7540 Placing Road Indianapolis IN 46226 is in the Glicks Franklin Rd Add Subdivision. See More Indianapolis homes for sale.